Well this is my old school trick, the Sticky keys hack. I kindof discovered (though I wasnt the first person to do it, but it was pretty less known hack a few years back) it years back, and I am surprised to see that it still works. This is not a one-click kiddie stuff, though its simple and easy. You have a guest account or any other NON-ADMINISTRATOR account. And you want admin privileges. Naturally I assume, your admin doesnot want to share the admin password with you. Your non-admin account must have write permissions for the system32 directory. That is you should be able to write/modify any simple file in the system32 directory. Dont worry, we are not going to mess with the ugly SAM and SYSTEM files. Now I would like to explain some basic mechanics, if you are not interested you may skip it. But if you understand it, I believe you should be able to find many such hacks. in the task manager, under the process list you can see the username as "Guest" for the firefox exe. Now if no user is logged on, and a process is executed, then what will happen? Our best guess is that it would run with system privilege. So if you can find a file that runs/can be made to run before a user logs in, then it should do our dirty job. how to get a sample list of such files. You got it, take the backup of this sethc.exe and rename it to say sethc_original.exe. Now copy cmd.exe from system32 to somewhere and rename it as sethc.exe. Copy the new sethc.exe (which is in fact cmd.exe, our shell) in system32, and press yes, when it asks for the confirmation to overwrite. press the SHIFT key>=5 times and boom, there you got you shell with SYSTEM privileges. And now you can logon to your new admin account now. You can also reset the administrator password, using the shell, but I wont recommend that for obvious reasons. Our job should be to stay as stealthy as possible. Just install your software and clear your tracks. 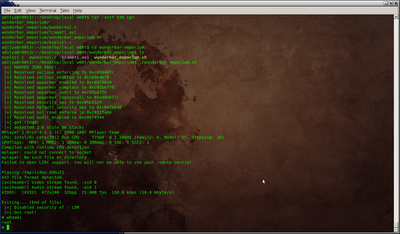 Wwith this SYSTEM privilege shell you can also see the files that execute before a user logs in. Use the command tasklist for that and save the output in some file, for later viewing. Your new account can be easily seen in the Control Panel-> User accounts and in the My Computer in the form of documents as well. This isnt a good sign. But we can hide our account to a certain extent. Beware of the Registry, Dont mess around! Create a new DWORD value here, set the name as your newly added username, "hacked" in our example, and let the value be zero. This will stop the display of your user account in Control Panel->User accounts and in the My Computer documents. However for the expert eyes, your user directories can still be seen in "Documents and Settings" and through the command net user. So you may need to do some additional tasks, like removing your backdoor account entirely before leaving. But sometimes we are in a hurry and we are not at all interested in understanding how things work, but in making it work as quickly as possible. would cause cron to interpret "root" as a command. The syntax "* * * * * root /home/build_auto/echo.sh" is valid for system crontab file /etc/crontab. I am simply trying to create a cron job and which would execute a shell script for me at regular intervals. So first I read through a simple tutorial from where I learn about the basic syntax and the fields. This way everytime the script echo.sh is executed, it will append a string "test" in a new line in test.txt. So when our cron job executes perfectly i.e. every minute, we see "test" in every new line. 2. And in a new crontab file using the crontab command. This file is will be stored in /var/spool/cron with the same name as the username. There are seven fields seperated by spaces. For details on the fields read the man page. The first field is for minute, second for hour, third for day of month, month, day of week, user account which will be used for execution and command name which is the full path of our shell script. The *s indicate the job will be executed every minute, every hour and so on. Save the /etc/crontab and your job should execute every minute. There is no need to do any service restart. The crontab syntax is similar to the previous one, except that instead of 7 fields, there are only 6. The username is not required. You can also see the same in the file /var/spool/cron/tabs/root. This can be misleading, and it can be easily misunderstood as if the cron is unable to locate /bin/sh. 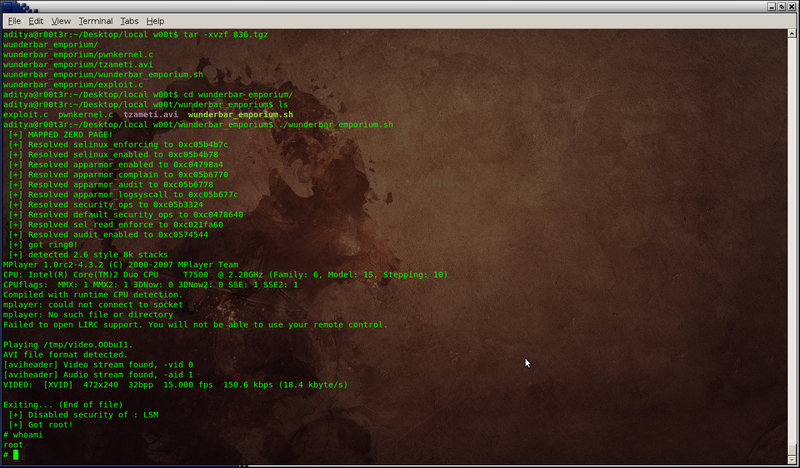 But in fact cron is trying to execute a command with the name "root", which does not exist. This is because cron expects a command in the sixth field. And one more thing, ensure that in your shell script the PATH of all files resolves to absolute path, any relative path like ./test.txt would resolve through the home directory of the user that is executing the cron job. As far as I remember it didnt work on kernel 2.6.31, Ubuntu 9.1.